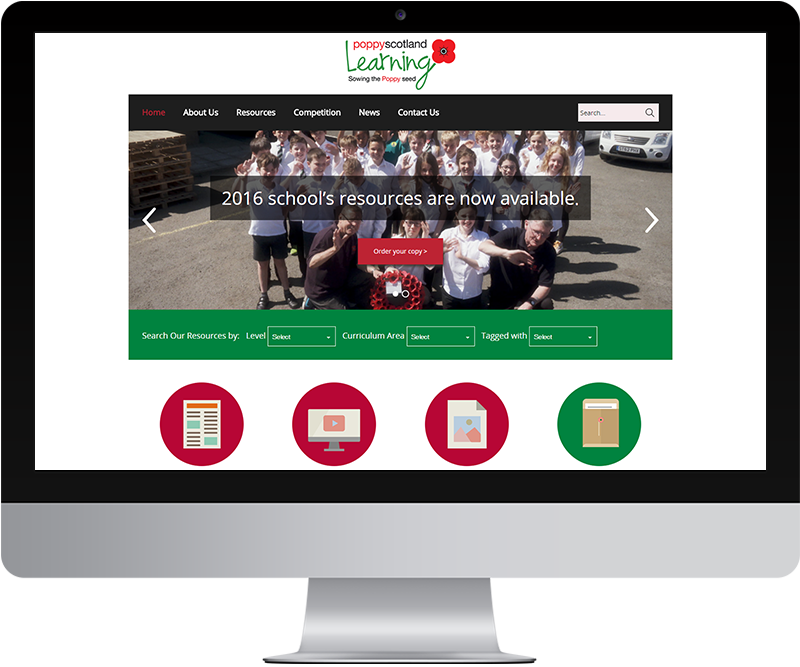 A completely custom design and build to allow easy access to learning materials for Poppyscotland Learning. Poppyscotland Learning have worked hard to create a comprehensive learning experience highlighting the importance of remembrance, veterans and Poppyscotland. There is an extensive archive of learning materials, films and image to draw upon. Our job was to make it straightforward for teachers and organisations to access these resources. We worked closely with the Poppyscotland learning team to design an easy to use, well structured website that makes it easy for a user to get quickly to relevant resources. The website is a built WordPress and customised to meet the unique requirements associated with creating a resource. We are grateful to all at Infinite Eye for their infinite patience in helping us through the creation of our new Learning website. It is a resource-heavy site requiring a great deal of complex information management, but the end result is user friendly and easy to navigate. The feedback so far has been very positive and we are grateful for all your hard work.